Nearly a decade after he founded a publishing company with a strong ideological mission, Howard Rotberg may take his place among that small and proud group of Canadians who operate successful small publishing houses. Although Mantua Books started off slowly, it now publishes one new title each month. Some of the books sell tens of thousands of copies, says the Brantford-born, 60-year-old non-practising lawyer, who named the firm after the city in Italy where his maternal Rappoport ancestors came from. He founded the company to disseminate what he believes are important ideas that may save the West — as well as Israel and the Jewish people — from ideological and physical assault perpetrated by dictators, terrorists, and antisemitic propagandists in league with the forces of fundamentalist Islam. 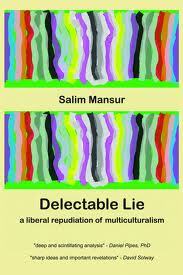 One popular title is Delectable Lie, Salim Mansur’s “liberal repudiation of multiculturalism” that combats the notion that all cultures are equal. Another is Those That Bless You I Will Bless: Christian Zionism in Historical Perspective, by Paul Merkley, which Rotberg says has been selling like the proverbial hotcakes since it came off the press. Iran’s impetus to develop a nuclear arsenal is chief among various global forces that seek to destroy Israel and the Jews, he warns. In The Second Catastrophe, a novel he wrote in 2003, he raises the possibility that the growing global hostility against Israel could result in a second Holocaust being attempted against the Jewish people. Other Mantua titles — such as Hear, O Israel!, David Solway’s study of modern anti-Israelism and anti-semitism — hammer home similar messages. While leftists and the mainstream liberal-left media may dismiss Mantua as an alarmist “right-wing” publisher, Rotberg asserts the firm is an upholder of traditional Western values at a time when such values are becoming increasingly politically incorrect. Many commercial publishers, university presses and media outlets have been caught in the paralysing grip of post-modernism, political correctness and moral and cultural relativism, he contends. He established Mantua Books, he says, because he wanted to provide an outlet for writers who, for ideological reasons, were being shunned by the mainstream publishing houses. The press has attracted a large assortment of writers from many countries. He is the senior editor but relies on a panel of editors and academics to offer advice on each title. Rotberg grew up in a house where the shadow of the Holocaust was palpable. His father was a Lodz-born survivor of Auschwitz, his mother part of a large family that came to Canada before the war. He earned degrees in history and law from the University of Toronto but returned them both in protest after the university allowed the odious Israel Apartheid Week to come into existence. He faults the university for failing to take a moral stand on that issue and notes that the “annual anti-Israel hatefest” has since spread to campuses worldwide. Rotberg practised law in Kitchener-Waterloo for 20 years, then sold his practice so he could focus more directly on “tikkun olam,” repairing the world. He does this through two primary means: first by publishing books, and second, by converting heritage buildings into affordable rental housing for low-income earners. Each of his projects — book or building — must satisfy a “double bottom-line” criterion, he explains; it must not only turn a profit, but also improve the world in some way. 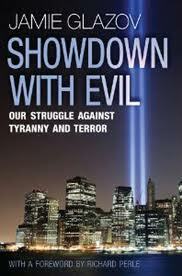 Jamie Glazov, a Canadian writer living in Los Angeles, has also joined the Mantua family of authors with his recent book, Showdown with Evil: Our Struggle Against Tyranny and Terror. 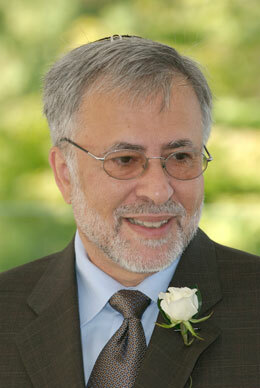 Besides his novel, Rotberg is the author of Tolerism: The Ideology Revealed. The book’s central thesis is that the West’s is much too tolerant of foreign cultures, such as radical Islamist regimes, that are themselves intolerant. He also wrote Exploring Vancouverism: The Political Culture of Canada’s Lotus Land, which portrays Vancouverites as self-centred adherents of an “inauthentic progressivism” that ignores issues of morality and social justice. It is as an internet blogger, however, that he has found his greatest audience. In 2011 he wrote a semi-satirical blog for Pyjamas Media in which he prognosticated that President Obama will announce during his 2015 State of the Union address that he will put a hijab on the Statue of Liberty and rename it the Statue of Tolerance. The piece struck a nerve and went viral. “It had the single largest readership of any article I’ve ever written,” Rotberg says with a laugh. As a writer, he’s also known the hurt of being targeted at a public reading. Several years ago, someone hurled an ugly racial epithet at him at a bookstore reading after wrongly concluding he had painted all Muslims as terrorists. A brief shouting match ensued. Afterwards the store pulled Rotberg’s books from the shelves and banned any future appearances, making him feel victimized twice.